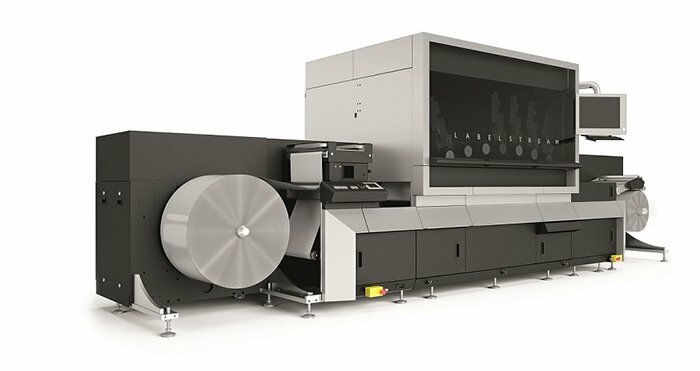 Canon has launched the new Océ LabelStream 4000 series, an industrial-scale UV inkjet press with optional flexo printing, embellishment and finishing units. With an industry-leading productivity range of 950-1672 sqm/h the press looks set to carve out a commanding presence in the growing label printing market. Combining the virtues of UV inkjet printing with conventional technologies, this innovative label press delivers unrivalled value-add in terms of time, cost and value, enabling converters to select the best combination for any production requirement.